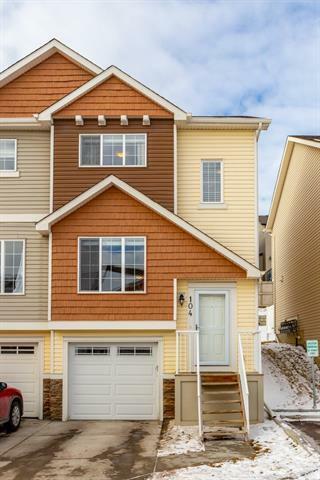 Open House Sun April 14,12:30-2:30pm! This corner end-unit town home is nestled on a quiet private street. Enter through 1 of 2 NEW Quality Andersen storm doors into a bright tiled entry! Enjoy walking into your home with the NEW Air Conditioning on those hot summer days! 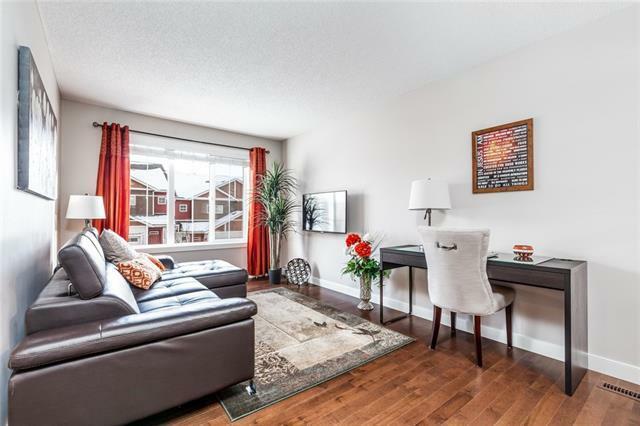 The main floor features hardwood floors throughout with a spacious living room & bright windows. The kitchen features modern cabinets, beautiful stainless steel appliances, built-in microwave, corner pantry & spacious Island with breakfast bar. Just right 2 pce bath on the main floor. 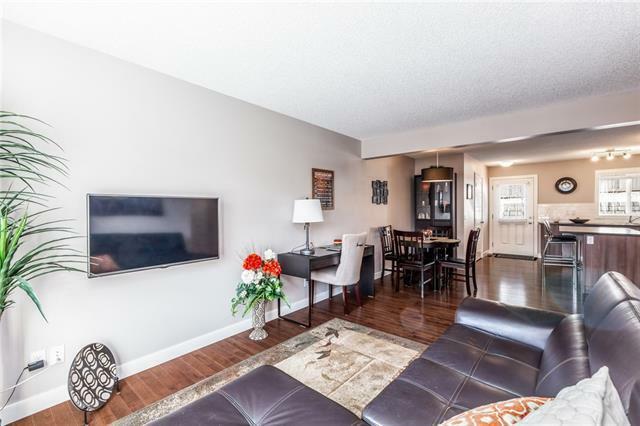 Walk out onto a Sunny-West concrete patio & greenspace from the kitchen! The upper floor features big bright windows, 2 stunning master bedrooms, private ensuites with tiled floors & generous walk-in closets! The unfinished basement is perfect for a spare bedroom or office with access to the garage! 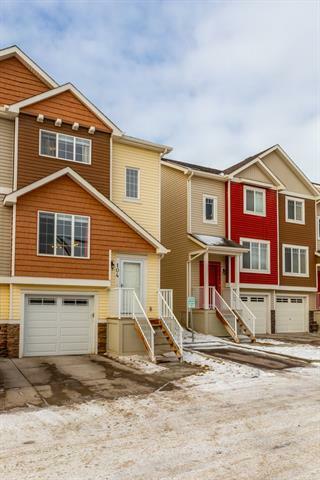 Close to schools, theatres, leisure centre, restaurants, Superstore, Stony & Deerfoot! Dont wait....book your appointment today!